I was wrong. I jumped to conclusions. I was tired. (Okay…maybe I still am) No matter which way I go at it, the error is mine and mine alone. 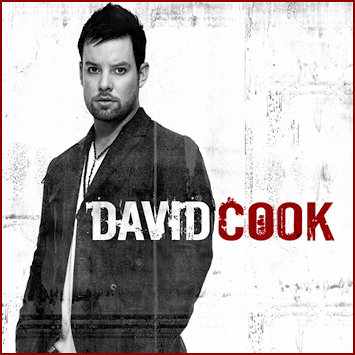 The David Cook CD is EXCELLENT. Error number one in my review process? I listened to it on my laptop. Bad move, apparently. After I swung by the store to grab the CD this morning, I popped it into my car CD player. When the first chords of “Declaration” blasted out of my speakers, I realized that it has been a long time since I’ve actually listened to a new CD in my car. Usually the car radio is reserved for my Sirius Radio (and Radio One), but this CD is definitely a driving record, both in beat and in setting. The first three tracks, “Declaration”, “Heroes”, and “Light On”, really set the tone for the whole ride, which I enjoyed immensely. In fact, I actually did a little extra driving in order to make sure I got the full experience. Are there any flaws? Actually, yeah…there’s one flaw that really stands out to me, and I actually hesitate to mention it. (For those who don’t want several songs spoiled, skip to the next paragraph) David’s got a really bad habit of coming out of the bridge with a mellow version of the first couple of lines in the chorus, before kicking back into overdrive for the rest of the song. He does it on “Declaration”, “Light On”, “Heroes”, “Lie” and “Avalanche”. I get it…it’s for that “big finish” effect, but it can easily become an obvious formula. 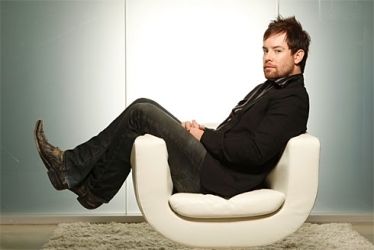 As a whole, though, I think it’s fair to say that “David Cook” is the most genuine release of all the Idols to date. With the exception of “Time of My Life”, which many Cook fans despise (but I genuinely like), there isn’t a song on here that screams “sell out”. This CD sounds exactly like what you would expect David’s big-label debut to sound like. How rare is that? A record that delivers on its promise. I’m not sure I can get behind David Cook, but after reading your review I’ll give him a listen. Paul, just mooch off of Yuri if you’re concerned. But I’m sure DC wouldn’t mind the extra sales domestically. ww_adh, I’m biased, because I felt like he was the only one on Idol this season that was ready for prime time, but I was a bit nervous, too. I’m glad it’s panned out. Yuri, that’s one hell of an imagination you’ve got. Maybe the chair just thought it was gonna have a cookie?